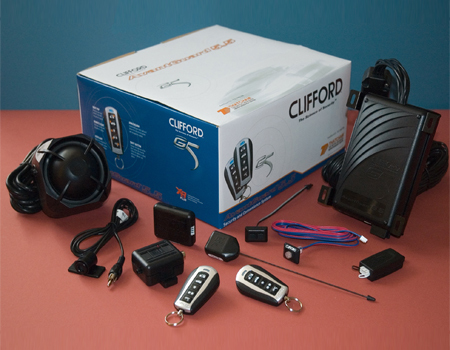 For outstanding car security, the Clifford Concept 650 Mk2 is all you need. 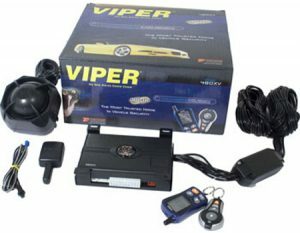 It features a multifunction remote control, allowing the system to be controlled and adjusted from the palm of your hand. Silent arm and disarm, auxiliary output control, and sensor manipulation are all possible from the remote. 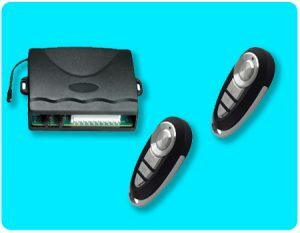 Add to this anti-code grabbing technology and remote battery low alerts, and the result is a superb quality vehicle security system. Button one is self explanatory, however if the system is wired up to the carâ€™s central locking system then this switch will also lock and unlock the car doors remotely. Button two is usually connected to the car boot release, if it is fitted with a motor and therefore capable. The star button activates engine remote start, if an extra remote start module is fitted. Button four can be used instead of button one for a silent arm and disarm function. The remote control also features a fifth, and very distinctive Clifford â€œG5â€ button. When this button is used in combination with the first four buttons an extra set of functions are achieved. For example pressing G5 once followed by button two will activate Clifford SmartWindows if fitted. Pressing the G5 button twice gives another set of control functions including the ability to disable sensors and enter valet mode. Unlike other alarm brands the Clifford 650 MkII has the ability to adjust sensors from the remote control. 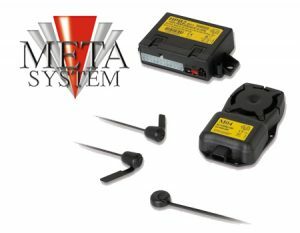 This means the proximity and warn-away sensors can be turned up or down by remote button combinations, and may be necessary to suit different customer needs or situations. Remote sensor adjustment is activated by pressing the G5 button three times, followed by the single star button for proximity sensor fine tuning. To then adjust the warn-away sensor, the double star button is pressed. Sensitivity is increased by pressing button two and decreased by pressing button three in either mode. Pressing button one will exit warn-away adjustment, and pressing button one again will exit sensor adjustment mode from the remote. 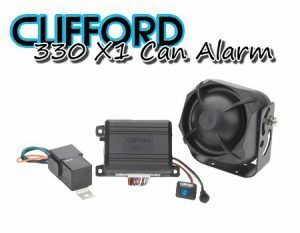 Clifford alarms are all round high quality vehicle security systems. For example all G5 remote devices feature Anti-Code Grabbing technology (ACG2) resulting in the generation of a random code encryption each time the remote transmitter is used. Another quality feature is the remote low battery alert. With all these advanced functions available from the remote, it is easy to run down the cell battery. When this happens a low-pitched tone is heard on disarming the car alarm system.